When PropTech startup hOM wanted to grow faster and smarter, its founders looked for help. Co-founder and CEO Francesca Loftus had an idea to bring health and well-being amenities to residents of buildings that didn’t have expensive, built-in luxury facilities such as gyms, yoga studios, rock-climbing, bowling and social event spaces. Then, hOM applied for MetaProp NYC’s 2016 PropTech accelerator and the startup saw its growth leap forward. Later this month, hOM will join fellow MetaProp NYC 2016 accelerator startups Bowery, Enertiv, Flip, onTarget and Ravti at MetaProp NYC’s Demo Day, January 26, from 9 a.m. to noon, at 7 World Trade Center. 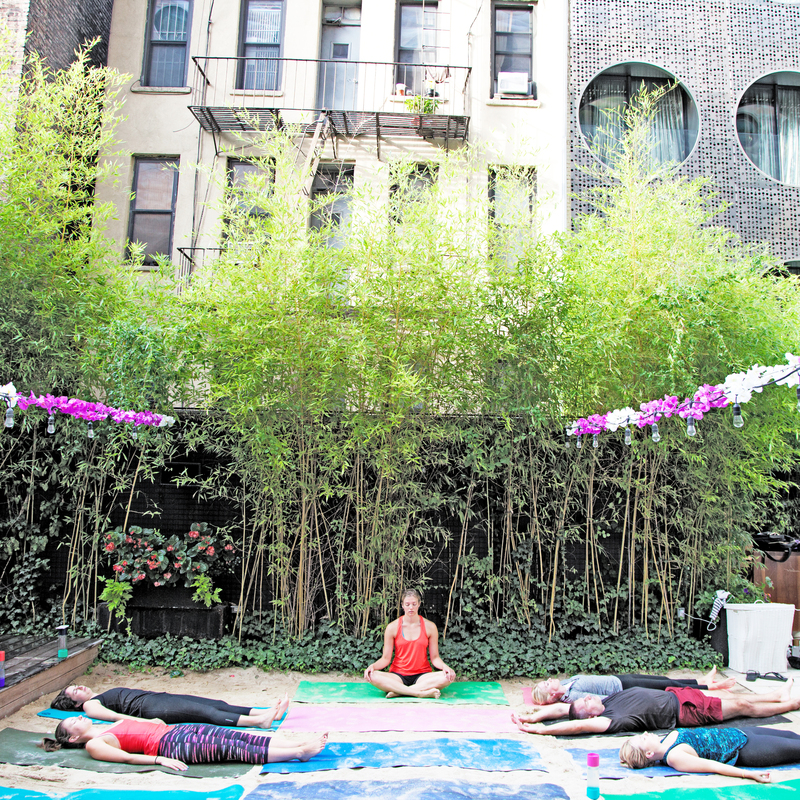 An outgrowth of Loftus’ interest — and that of her co-founder and husband, Corey — in yoga, hOM was founded in fall 2014 with the idea of bringing amenities to under-served buildings. “We recognized that landlords have FOMO (fear of missing out) when it comes to amenities,” said Loftus. “If they don’t have an Equinox in their building, they have a much harder job of attracting and retaining tenants. hOM provides landlords with an affordable and quantifiable means to compete with higher-level residential buildings. The retention is quantifiable, averaging 15 percent above national residential retention rates when hOM is implemented in a property. Among hOM’s New York City clients are Dalan, DTH, Rose Associates, Kushner and more, with national clients such as Avalon Bay, Bentall Kennedy, Bozzuto and First Service. And next week, hOM launches its first commercial buildings amenities in two Brookfield owned towers: The Grace Building and Manhattan West. Loftus also credits MetaProp NYC with pairing hOM with mentors, including Caren Maio, CEO, Nestio; Michael Rudin, Vice President, Rudin Management; David Santee, COO, Equity Residential, and Margaret Streicker, Owner, NewCastle, to provide invaluable advice and further networking for greater growth. “MetaProp takes all our requests and works as if they are the founders themselves to fulfill that request for their partner companies,” said Loftus. Every year, MetaProp NYC selects up to 10 of the best technology driven real estate industry startups from more than 300 applicants to participate in the 22-week intensive growth program in New York City. In 2016, the 300 company applications received doubled the number from 2015 and spanned 35 countries. Each program culminates in bi-coastal Demo Days for partners, investors, VCs and media. The accelerator boasts more than 100 mentors and over 10 world-renowned corporate partners.